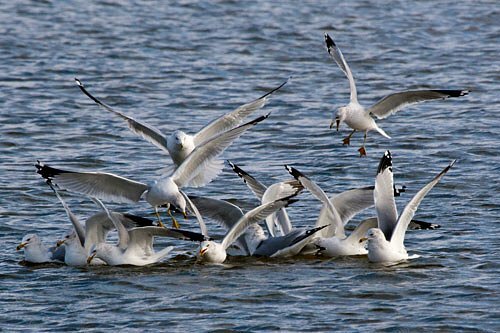 I froze my parts off photographing these ring-billed gulls today at Hoover reservoir while Megan and Weston ate snacks in the heated car. Why do I spend time photographing common birds? Well, they're great practice for photographing rare birds, plus, they're an extra special challenge. 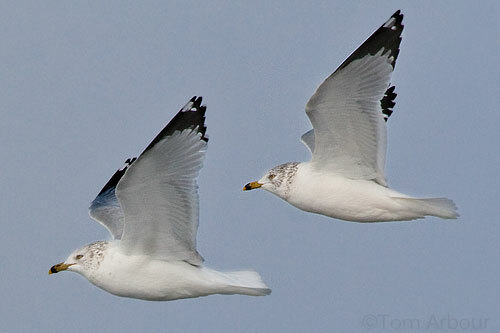 It isn't difficult to photograph ring billed gulls-just head to your nearest large parking lot. It is more of a challenge to get photos of them that are interesting- something that not only shows the birds, but also their behavior, and let's you in on little slices of their lives. Lovely photos. Reminded me of a McDonald's lunch I had in a parking lot with my daughter (kindergarten age or so at the time). I suggested she throw a french fry to a lone gull. Instantly, and apparently out of nowhere, dozens of careening, shrieking gulls swooped down upon us. We still laugh when we think of it, many years later. Terrific photos! Just because a bird is not rare, doesn't mean it's not beautiful. Just imagine how we would swoon over a pigeon's beauty if we only saw it once or twice in our lives. 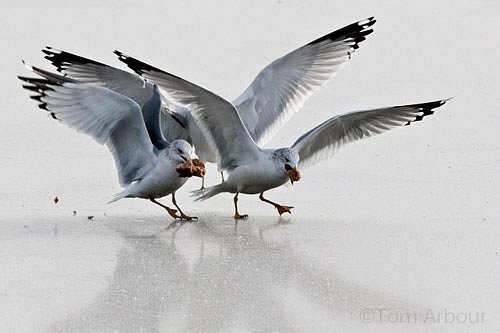 Now that you mention it, I've seen much FEWER seagulls since I moved to Louisiana...Strange, that.